Sketchnoting is graphic design on the fly. My goal as a sketchnoter is not to become a master graphic designer, but I do want to learn enough basic design principles so that my sketchnotes are clear and clean enough that I enjoy returning to them when I want to re-immerse myself in the topic that they depict. 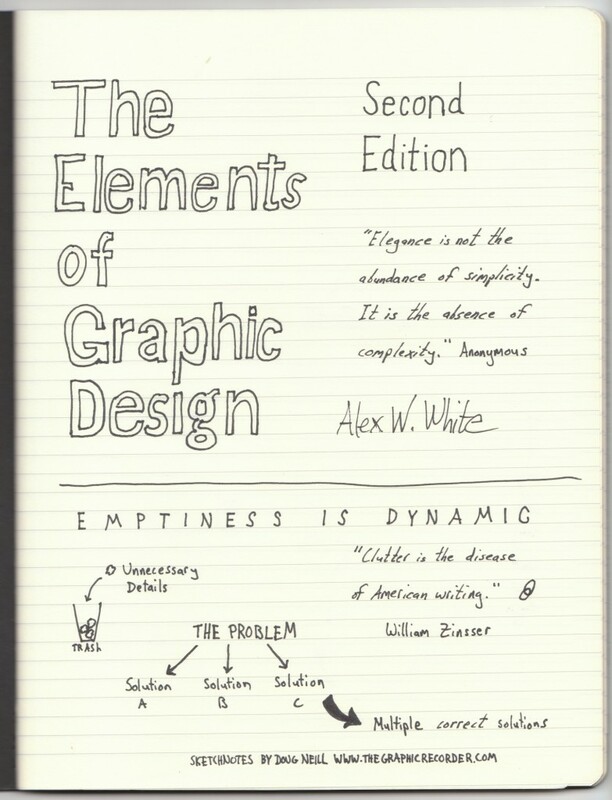 For that reason I started reading The Elements of Graphic Design by Alex W. White. 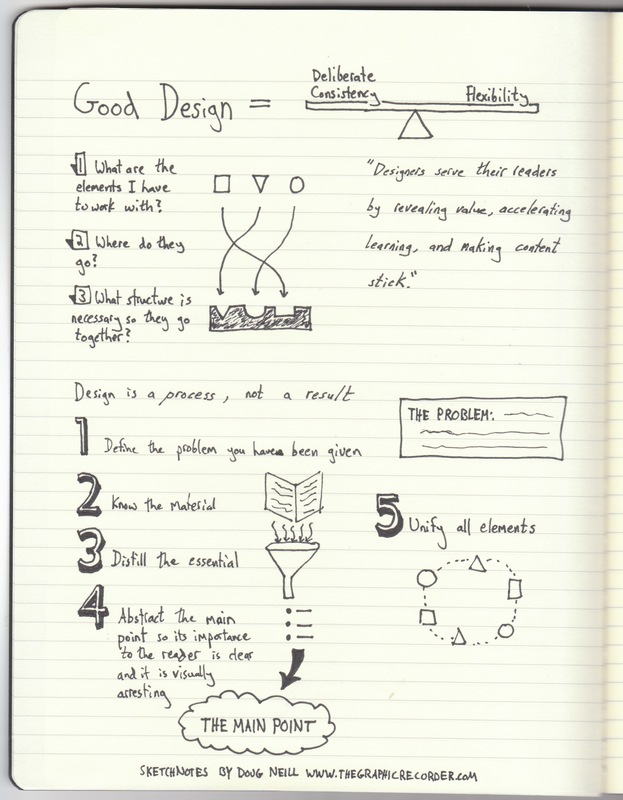 I took the sketchnotes shown above and below while reading the preface of that book. You can click on either image to view an enlarged version. The biggest takeaway for me so far has been the emphasis on white space. In some of my early sketchnotes I tried to cram too many elements into too small of a space. Now I’m focusing on leaving the page more open so that my eyes can move from one idea to the next without my brain getting caught up in the clutter.